Goa is an unmatched tourist destination in India. Those who haven’t been there drool at pictures and stories of Goan adventures, those who have been there remember the place with a smile and can’t stop talking about it. With its sandy beaches, crystal water, swaying palm trees, electrifying parties, a rich history and delicious cuisine, Goa has something for everyone. So if you’re planning your next trip, it should definitely be to this addictive place. It can be difficult to decide where to go and what to do in Goa, as there are endless options to choose from. Even if all you want to see is endless stretches of beach, there are so many beaches to choose from! But set your worries aside, here is the ultimate overview of Goa, giving you an idea of the different attractions in different parts of the state. This wealth of information has been organized geographically, with a special focus on the features a place is famous for. So, make a hassle free decision about where to go in Goa, so that you can pack your bags as soon as possible! The tiny state of Goa is divided into two districts: North and South Goa, which offer different forms of entertainment and leisure. Panjim and Old Goa are other major points of attraction. 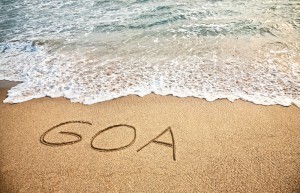 Here, we offer a compilation of the best of each part of Goa. For those of you who don’t have the time to go through the entire post, we’ve put together a small cheat sheet to help you make a quick decision about where to stay in North Goa. We also have a curated set of getaways spread across several beaches in North Goa. You can go ahead and book your perfect accomodation here: Best Places To Stay In North Goa. If you’ve got some more time, continue reading for a more detailed overview of what North Goa has to offer. Party and nightlife: Baga, Anjuna, and Ashwem (during specific seasons) are the beaches you must visit for the most epic parties of your lives. Tan during the day at the scenic Vagator Beach, and watch the night transform the place into a party hub. Sports: Try out parasailing, windsurfing, jet-skiing, or banana boat riding as the beaches abound with options for water sports, especially during peak season. Shopping: Shop at the stalls which sell trinkets, clothes and jewelry at the entrance of Calangute Beach. Experience the hippie vibe at Anjuna Beach, and merge with the crowds at the Wednesday night flea market, which sells an unbelievable range of items, from antiques to juice. Also, practice yoga and meditation here, as numerous centers offer these services for those who want a retreat from the chaos of the world. Visit Mapusa for the Friday market and as a stopover to stock on essentials before travelling to other places. Offbeat beaches: If you’re looking for beaches away from the party crowd, laze around in the magical sands of Morjim, Ashwem and Mandrem. Fall in love with Olive Ridley turtles at Morjim, which nest in the sands of the beach in winter. Experience the slow paced life of Arambol, which is slowly attracting people from all over who are seeking a retreat from everyday life. River cruises: On the Zuari and Mandovi rivers, hop on tours to spot dolphins and crocodiles. Historic places: Spend a day exploring the Chapora Fort, and at the Chapora Harbour and watch the excitement as fishermen arrive with their catch. Take in the heritage and beauty of the Reis Magos Fort and Church. And of course, come December, and experience the matchless Sunburn Festival! Goan cuisine staples are fish curry, rice and feni. The food of Goa reflects the unique mix of Hindu tradition and Portugese and Christian influences. You’ll find plenty of places to eat in North Goa. Couple the food with cheap beer and mixed drinks in the shacks dotting the shores of Calangute and Baga. The markets at Mapusa and Anjuna offer a mind boggling variety of food in various stalls, ranging from Chinese to American desserts to fish prepared in local sauces and homemade juice. Be sure to eat meat and fish prepared as vindaloo, the statement making Goan preparation. Souza Lobo in Calangute is legendary for its seafood. Thalassa in Vagator is unusual for offering Greek food, but it is out of the world! La Plage in Ashvem is a great mix of Italian, French and American cuisines. Britto’s in Baga offers delicious and spicy seafood delicacies. 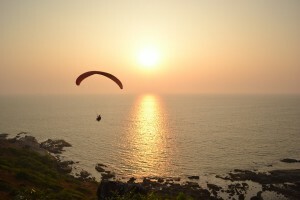 Have a look at our article on ‘Where To Stay In North Goa‘ ‎for an in-depth guide to Goa’s party capital. The quieter half of Goa, the swaying palms and immaculate beaches is just what you want if you just want to unwind, away from the noise and the crowds. This part of Goa is more about the beaches and trance, though there is plenty of this too, in cleaner beaches and less crowded parties. South Goa extends from Zuari River in the north, till the border of Karnataka in the south. The South is perfect for a honeymoon or for staying at a high five resort with beachside views. It also has great options for the backpacker. South Goa’s villages must be explored for the gentle pace of life there and for the rich history of Portuguese and Indian culture tucked away in the sleepiest little hamlet. We’ve put together a cheat sheet for those of you who don’t have the time to read the entire post. This should help you make a quicker decision about where to stay in South Goa. 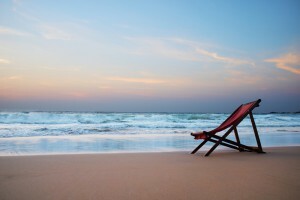 We also have a curated set of getaways spread across several beaches in South Goa. You can go ahead and book your perfect accomodation here: Best Places To Stay in South Goa. Continue reading for a more detailed look at what South Goa has to offer. Party and nightlife: Colva is South Goa’s most frequented beach, and hosts frequent parties. If you want more privacy, drift away from the center of the beach and discover quieter sands. Palolem is dubbed as Goa’s best beach by many with good reason: it’s picture perfect, and comes to life in season, especially at night. A headphone party here is a must do. 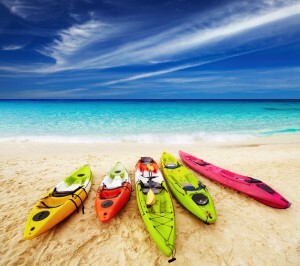 Sports: Palolem is a great spot to go swimming, kayaking or to go cruising. Go paddling in Cavelossim. Benaulim is a secluded beach which offers surprisingly great options for a range of water sports. Bogmalo is great for boating, swimming and jet skiing. Shopping: Cavelossim has a great number of shops selling jewelery, clothes and trinkets. The markets of Patnem offer cheaper goods than most of the other more popular beach spots. Margao, South Goa’s busiest city, also has a wide variety of choices. 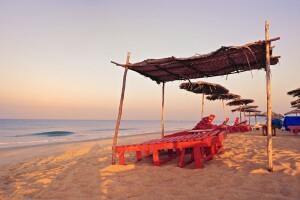 Peaceful and pristine beaches: Patnem and Agonda are relaxed beaches with few shacks and cheaper stalls on its shores. Agonda in winter is a protected nesting ground for Olive Ridley turtles. Benaulium offers white sands and blue waters along with seclusion and luxury resorts. Varca, Cavelossim and Mobor have lovely beaches thanks to the five star resorts which carefully tend to them. Varca is a beauty of a beach, surrounded by lush greenery and a quiet village, making it the perfect retreat from everyday life. Historical places: Chandor is a beautiful village steeped in Portuguese influences, best exemplified by the majestic Braganza House. In Loutolim is the Ancestral Goa project, which showcases the culture and heritage of the state in exquisite detail. Be sure to visit the art gallery of Mario Miranda, Goa’s most famous cartoonist. Not only are his illustrations brilliant, they give you the critical insider’s view of Goa and its people. Loutolim is also rich in Portuguese influences, with a great many mansions, though only the Casa Aruajo Alvares is open to public. Visit the Palacio do Deao built in the eighteenth century by the founder of the town of Quepem. Classes: Attend yoga, cooking and meditation classes in Palolem, Agonda. The shacks dotting the beachside of Colva offer great food and drink. Drop in at Little World in Palolem for a delicious local eating experience. 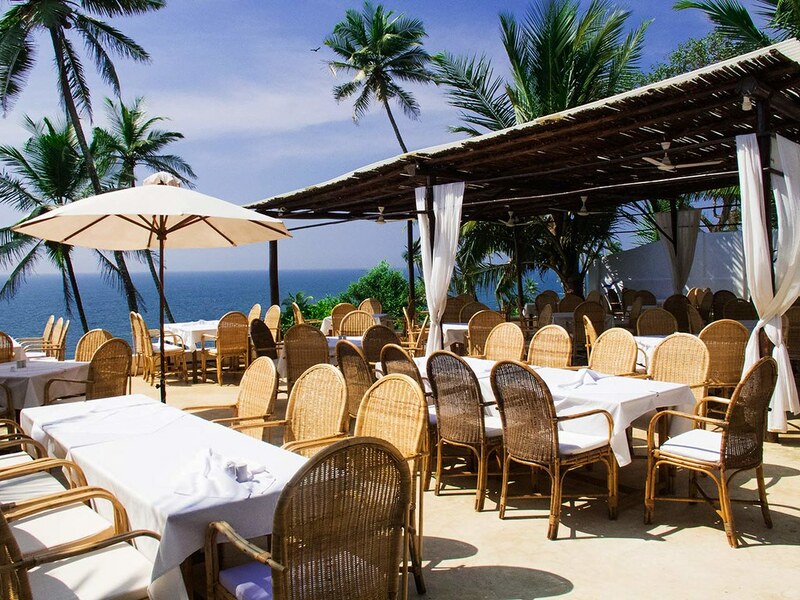 Martin’s Corner near Betalbatim Beach is great for corporate parties, and is famous for its Goan delicacies and bar. Have a look at our article ‘Where To Stay In South Goa‘ for an in-depth guide to the quieter half of Goa. The capital of Goa may surprise you. It surprisingly has practically no remarkable beaches. Yet, Panjim is the historical and cultural core of Goa. In the central part of Goa is such sheer diversity that you hardly miss the water: there are wildlife sanctuaries, beautiful old churches, India’s second highest waterfall, great places to eat, spice plantations and parts of the Western Ghats forests. Panjim is also popular for its casinos. Panjim and Old Goa are for the people who want to soak in the culture of the place they visit, and experience local life. It is for the tourist in love with architecture and old buildings. And finally, this is the Goa that convinces you that this place is much more than its beaches. Continue reading for a more detailed overview of Panjim and Old Goa. Train and bus facilities are easily available in Panjim, being the capital city. We recommend travelling by road by taxi or renting a car or bike. There’s also the unique ‘pilot’, or motorcycle taxi to choose from. Through Old Goa, travel by ferry to the different villages. This slow and romantic mode of transportation completely relaxes you. From Panjim to Old Goa, the best way to travel is by road. Churches: Panjim and Old Goa abound with churches and cathedrals dating back to many centuries. The architecture and construction of these churches are breathtaking, and definitely worth a visit. The must see churches are the Basilica of Bom Jesus, Church of Our Lady of the Immaculate Conception, Se Cathedral and the Chapel of St. Sebastian. The tomb of St. Francis also attracts devoted crowds and tourists from all over. Christmas is a time of colorful Christian celebration through the whole of Panjim, and these churches become centers of attraction. Shopping: Panjim has the widest variety of shopping choices in Goa. From indigenous shops selling sandals, shawls and chunky necklaces, there are malls with high end brands and designer labels. This is probably the only place in Goa where you can experience shopping in all ranges. Historic places: Other than the remarkable churches, visit Ponda, where Hindus and Muslim fled when the Portuguese arrived, to see a lot of temples. Stroll through the narrow streets of Fontainhas to get the most of the Portuguese feel of the city, and be sure to visit the area around the post office, called Sao Tome, while there. This is the Latin quarter of Panjim, and the sophisticated architecture and clean environment fully qualify its label as a World heritage walk. There are also plenty of museums in Panjim, such as the Goa State Museum, House of Goa Museum and the Archaeological Museum. Panjim has great bakeries, which have been run for generations. These bakeries are famous for its bread, and also for sweets with a coconut and jaggery base. Visit the Confeteria 31 De Janeiro in Panjim to have a state for yourself and see. Mummy’s Kitchen, Ritz Classic and Viva Panjim are restaurants which serve local food in its tastiest preparations. An unusual but fully satisfying way to satisfy your taste buds as well as fill your stomach is by going on a spice plantation tour in Ponda which culminates in an extravagant lunch. Nature lover / village life experience: Chandor, Varca, Loutolim, Quepem, Bogmalo, Mobor, around Ponda. What more reason do you need to go to Goa? Start planning your trip! Been to Goa and loved it? Share your favourites with us.